Dim jhal is an interesting and easy recipe for cooking tasty egg curry. 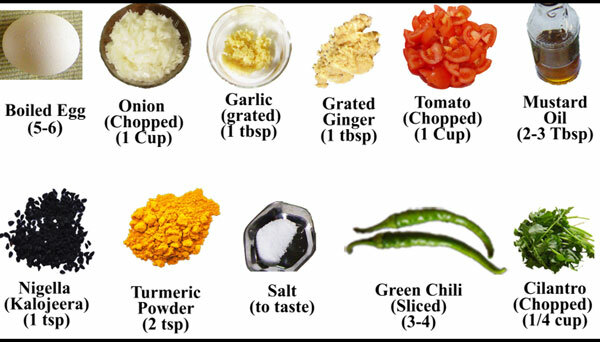 You will need the following ingredients for making the Dim Jhal. fry it till it is light yellow. Add the sliced green chilies. add enough water to just cover the eggs.